Last week, the Vermont Supreme Court firmly rejected the notion that an insured can bring a cognizable claim for negligence against his or her carrier in connection with the inspection and handling of a first-party property insurance claim. In Helena G. Murphy v. Patriot Ins. Co., 2014 VT 96, 2014 WL 3965639, 2014 Vt. LEXIS 101 (Vt., Aug. 14, 2014), the court recognized that the relationship was “fundamentally contractual” in nature and that a policyholder’s rights flowed solely from the insurance policy and the covenant of good faith and fair dealing implied in that instrument. In July of 2007, the insured, Helena Murphy, reported damage to the roof of her house and interior water damage to her homeowner’s carrier, Patriot Insurance Company. The insurer promptly had the structure inspected by a claims adjuster, and it paid $3,553.05 for the loss. The policyholder then proceeded to make a series of additional claims over the course of the next few months, and Patriot ultimately tendered over $30,000 to Ms. Murphy, including the full policy limit of $10,000 for damage from mold and rot. The insured contended, however, that it would cost in excess of $56,000 to remediate the remaining mold and rot, and she brought suit for breach of contract in June of 2008. An amended complaint was then filed adding, inter alia, claims against Patriot for negligence. 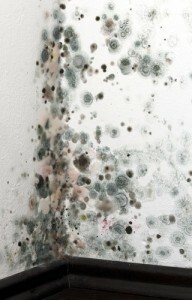 Ms. Murphy alleged that Patriot had an independent tort duty to handle her claim in a reasonable manner and had violated that duty by negligently inspecting and processing the claim, with the result that she suffered additional property damage and also health problems associated with the mold infestation. Patriot moved for summary judgment, and the trial court granted the motion, stating that the insured had failed to establish that the carrier “owed a clear, non-contractual duty to her” on the facts alleged. On appeal, a unanimous Vermont Supreme Court agreed. recognized the existence of a first-party bad faith action against an insurer in part because no alternative independent remedy was available. See Bushey v. Allstate Ins. Co., 164 Vt. 399, 402, 670 A.2d 807, 809 (1995) (extending “bad faith” cause of action to first-party claims by insureds). The bad faith remedy would generally be superfluous if mere negligence in handling a claim were sufficient for liability.